Winter is here with a forecast that includes up to 40” of snow in some parts of the US! What’s a dog to do? We’ve got some tips on the best way to shop for coats that are effective, and how to survive the coming Snowpocalypse. 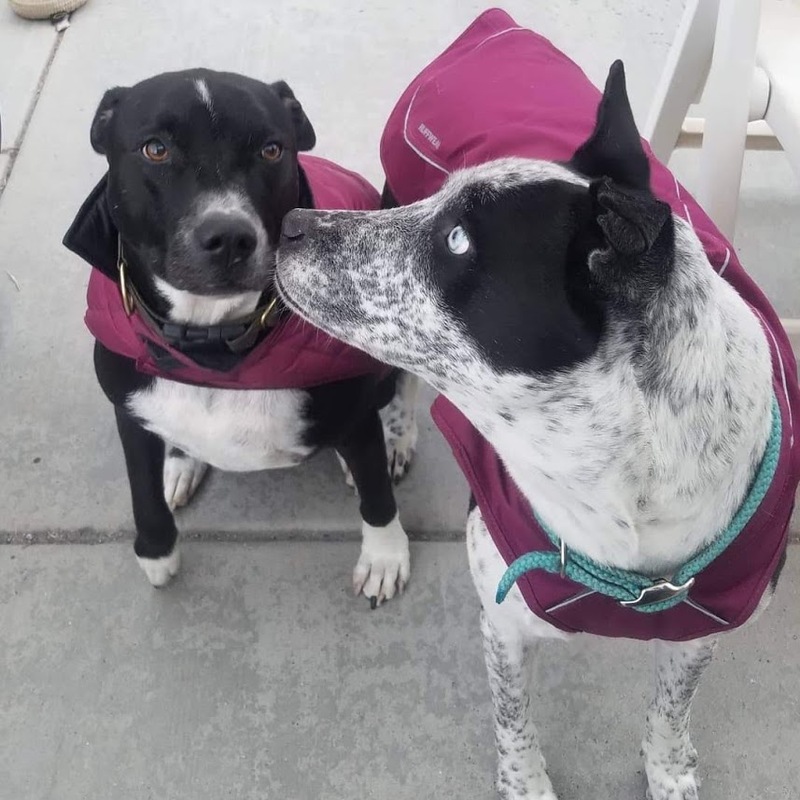 If your dog tends to “run cold” (like our dogs, Bree and Brock), you need to consider both a sweater and a coat. Brock and Bree are definitely warm weather dogs! Note: Brock (on left) is wearing the 32Degrees Dog Coat and Bree (on right) is wearing the Ruffwear K9 Overcoat. Disclaimer: We have received product samples to review, however our opinions are our own and we are under no obligation to the vendor. We use affiliate links when possible, which means we may receive a small percentage of a sale. 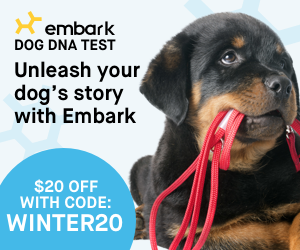 Thanks for using them to help us continue our ability to bring you quality content and keep our pets fed! Smaller, lightweight breeds or those with very thin or short coats (boxers, terriers, hairless dogs, beagles, etc.) definitely benefit from a sweater or jacket when they’re outdoors – especially if they’re usually indoors most of the time. The new Diamond Quilted Down Vest from 32 Degrees is a great option for indoor wear. Brock has been wearing his new vest pretty much nonstop. So what’s the biggest appeal? This vest has a lightweight nylon shell and it doesn’t get “shocky”, which is a big thing when you live in the Southwest. A velcro attachment keeps his vest on him all day long and the reversible style makes it very easy to change up. Since it’s nylon, it keeps the wind from freezing my pup out and the down/polyester fill is ideal for keeping them warm, but not overheated. Right now, it’s only $15.99 (normally priced at $40). So grab yours today! 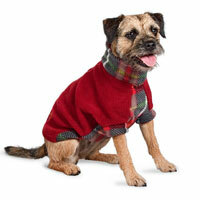 32 Degrees also offers an adorable Plaid Fleece Jacket. 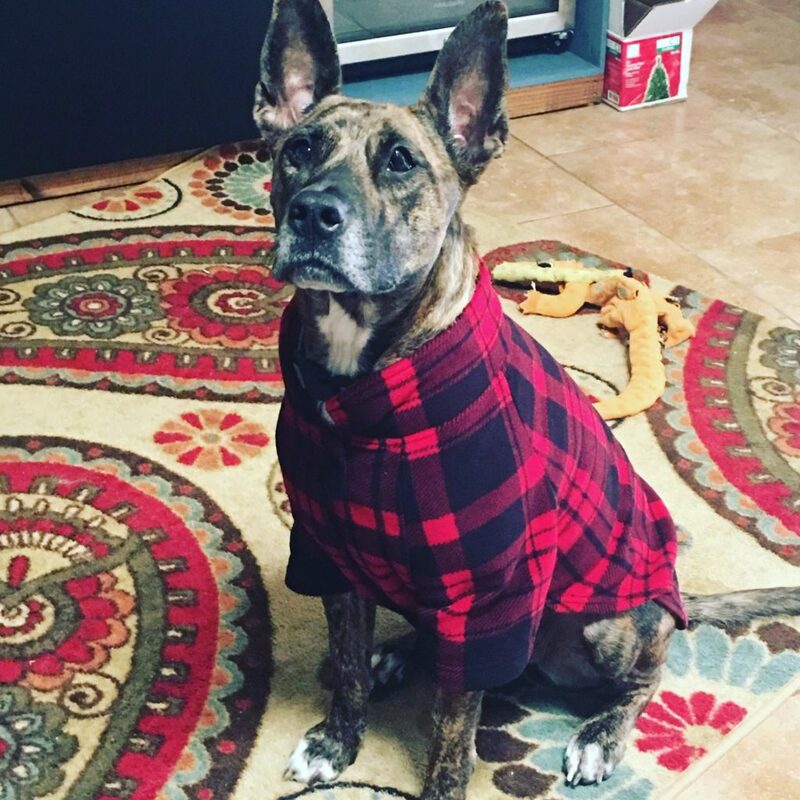 This jacket didn’t quite fit our bull-chested pups, so we had our grand-dog help us out with modeling. As you can see, the large is a perfect fit for a boxer! It’s also absolutely priced right at $12 (normally $20!). This is a great jacket for lounging around the house, heading out for a walk, or just for any pup that needs some added warmth.